Clearance Sale - up to 80% Off! Take an extra 20% off on orders $39+ with code EXTRA20 at GlassesShop.com. Available for a limited Time. GlassesShop.com uses state-of-the-art American lens manufacturing equipment and their product line includes some of the most sophisticated lens designs available today, including digital (free-form) progressives. Pioneering e-retailers like GlassesShop.com are actively trying to break the myth that fashionable eyewear is prohibitively expensive. 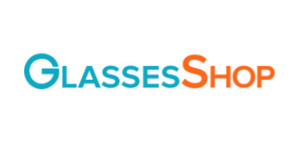 GlassesShop.com is able to sell ultra-trendy, professional quality prescription eyeglasses at competitive prices because of their efficient processes and lower online costs.